The Park Sentry Wall System is a way to utilize the impact-absorbing properties of our Park Sentry Round panels against a variety of flat walls and absorbs the impact of collisions without scratching painted finishes. 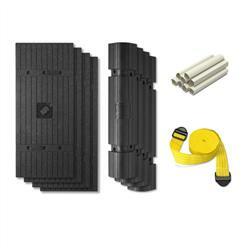 The wall system is attached above and below the "bumper zone," meaning no fasteners to scrape the vehicle. 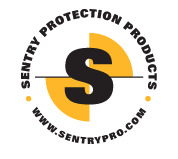 Park Sentry is made of lightweight, energy-absorbing ARPRO, the same material used in automobile bumpers. Park Sentry Wall system is an easy-to-install barrier meant to reduce the cost of vehicle collisions while providing a highly visible, attractive appearance.